Leonardo completed the initial flight test of its TH-119 IFR training helicopter in late December. The TH-119 is Leonardo’s bid to replace the U.S. Navy’s aging fleet of TH-57 Sea Ranger training helicopters, a variant of the AW119, manufactured in the U.S. with what the company describes as a strong local supplier base. By completing this milestone, Leonardo explains the TH-119 remains on track to achieve full FAA IFR certification in early 2019, making it the only single-engine IFR-certified helicopter in production in decades. The TH-119 was flown by Leonardo pilot Patrick McKernan at the company’s Philadelphia plant where all variants of AW119s are built. The flight included an assessment of general handling and avionics systems. 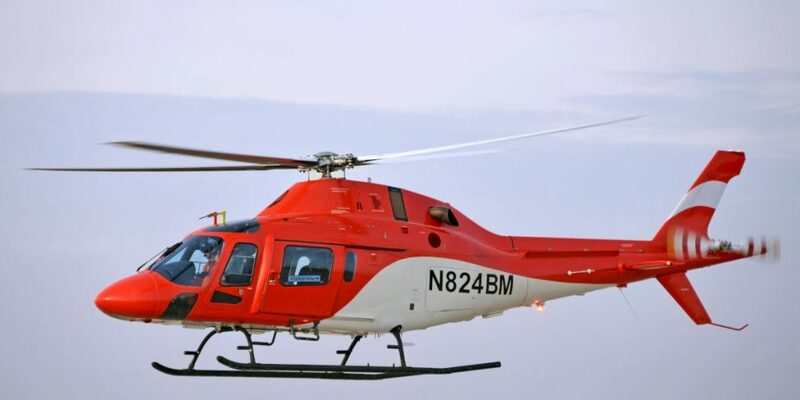 If selected by the U.S. Navy, a fleet of over 125 TH-119s will be built in Philadelphia utilizing the plant’s existing AW119 manufacturing and support facility. Leonardo describes the TH-119 as the only modern, single-engine helicopter certified to operate in actual instrument conditions (IMC), resulting in more available training days that limit VFR-only aircraft and adding to overall time to train. The TH-119 is positioned as a full-spectrum training helicopter, meaning that with a single variant configuration the Navy can accomplish fundamental training flights like sliding landings, hovering, and full autorotations (without offloading any of them to simulation) equally as well as advanced training flights including NVG, instruments, navigation, tactics, hoist, external cargo, and search and rescue. The TH-119’s dual-display Genesys Aerosystems glass cockpit allows instruction from either pilot seat with full IFR capabilities, including flight director and 3-axis full autopilot. Its 180-degree adjustable observer seat offers student pilots full view of the cockpit. The TH-119 leverages the 1,000 shp Pratt & Whitney Canada PT6-B engine and a cocoon-type metal airframe and reinforced shock stabilized skids for touchdown maneuver training. The TH-119 can “hot” pressure refuel.